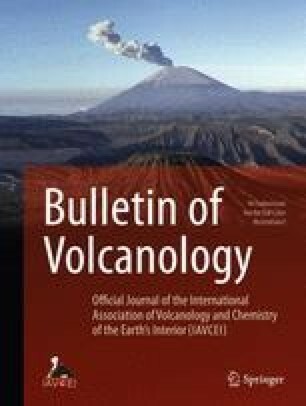 Tephrochronological dating of postglacial volcanism in the Dyngjufjöll volcanic complex, a major spreading center in the Icelandic Rift Zone, indicates a high production rate in the millennia following deglaciation as compared to the present low productivity. The visible and implied evidence indicates that lava production in the period 10 000–4500 bp was at least 20 to 30 times higher than that in the period after 2900 bp but the results are biased towards lower values for lava volumes during the earlier age periods since multiple lava layers are buried beneath younger flows. The higher production rate during the earlier period coincides with the disappearance of glaciers of the last glaciation. Decreasing lithostatic pressure as the glacier melts and vigorous crustal movements caused by rapid isostatic rebound may trigger intense volcanism until a new pressure equilibrium has been established.